Too much tap, tap, tap on the Mac, not enough wrist-turning brrumm brrumm, makes Jack a dull lad. 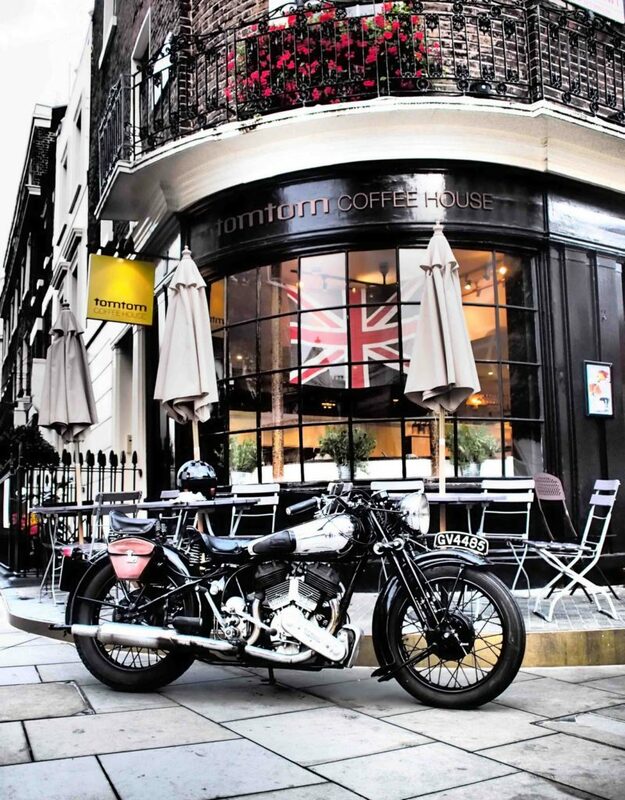 So, at the end of the northern hemisphere’s riding season, on a cool but clear morning in London’s Chelsea district, the offer of a road test on a nice old Brough Superior was like a cup of warm tea in cold hands: a very good idea. The machine in question wouldn’t win a Concours d’Elegance, as it has clearly been – whisper it – ridden quite a lot, and shows the inevitable road chips, cable rubs, and modest oxidation which grows unbidden even in the mildest of climates. Not to say it isn’t a beautiful machine, in lovely condition; this 1936 Brough Superior SS80 was restored 3000 miles ago by BS-guru Tony Cripps, and kept by a careful owner, to whom proper function was paramount. 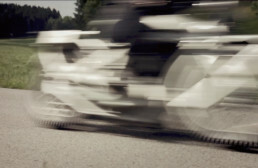 The result is a motorcycle which starts easily, doesn’t drag its clutch in traffic, and is smooth as pudding. As George Brough hitched his star to the RR name, that star dragged Broughs right out of their sporting pretensions by the early 1930s, and into the realm of the luxurious Grand Tourer. By the time our test machine was built, 1936, Brough had ceased using JA Prestwich’s racing v-twins, as they had never successfully evolved from their hairy racing heyday of the 1920s, and were simply too crude to install in a luxury machine. Matchless/AJS had developed a pair of powerful, smooth, mechanically quiet, reliable, and relatively oil-tight engines – a sidevalver and overhead-valve, the ‘MX’ models, both of 990cc – and while they weren’t racing engines (with a difficult-to-tune 3-lobe camshaft), they fitted the bill for a touring machine perfectly. 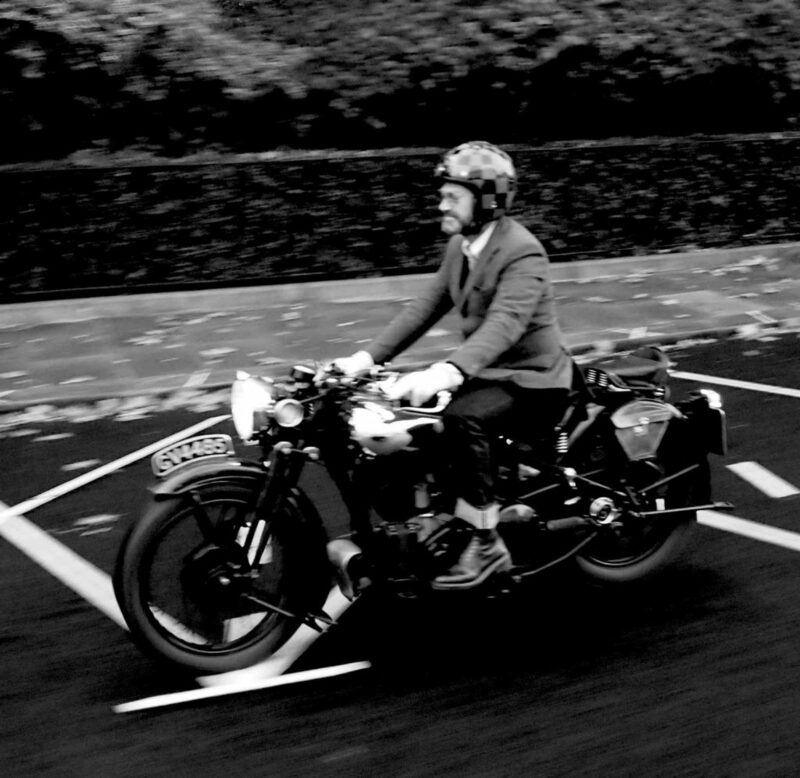 The evolution of Brough Superiors reflected the life and personality of the man who made them; George Brough in the 1920s was a demon rider and serious moto-dandy, building the motorcycles he most wanted, which couldn’t be found elsewhere in 1919, when he embarked on Superiority. Until other makers began copying the B-S pattern (bulbous-nose saddle tanks, long chassis, big v-twin engine), the Brough was alone at the top of the heap, and in terms of its quality of finish, remained there until the end of production (nominally 1940, although a very few Broughs were assembled during the war, and after, from broken machines or old stock). But, after a few nasty spills in his sprinting days (51 wins out of 52 starts, plus FTD in his last race while sliding on his backside, requiring skin grafts and 8 months in hospital), George fully supported other’s efforts at taking major speed records with very special Broughs, but the motorcycles he sold lost their athletic edge… and began to gain weight. This 1936 SS80 has, as mentioned, a 990cc ‘square’ (85.5×85.5mm) engine sourced from Matchless, which also saw service in their own ‘Model X’ (fantastic name; cape and mask included? ), although GB specified knife-and-fork connecting rods, where the ‘X’ used them side-by-side. George ditched the SS80’s original JAP sv sports engine in 1935, and in five years, 460 MX-engined SS80s were sold (another 626 used the JAP engine, 1923-’34). All SS80’s were famously guaranteed capable of 80mph (these late ones more like 85mph), although a timing certificate from Brooklands might cost you an extra £10 over the £90 purchase price…which was already enough to buy a small house outside of London. Starting the big and surprisingly wide machine was simplicity itself; turn on the tap, a dab at the ‘tickler’ on the carb, and put your weight on the long kick lever. Boom, first time. And every time. No valve lifter required, no knocking back the magneto timing – it never spat or kicked back or sneezed, just rumbled into life with a very pleasant rolling basso voice, and very little clickety-clack from the timing chest, more a rustle actually. Pull in the very light clutch lever, snick the Sturmey-Archer/Norton gearbox into 1st, without a clunk or other drama (try that on your new BMW…), and the engine rumbles and give off hints at hidden power, while staying pleasantly smooth, and building up speed quickly. Broughs use close-ratio gears (same as a Norton Inter, actually), which means a low 1st, a big gap to second, and the other two not far off. On a big twin with plenty of torque, this doesn’t make sense, as there’s no need to play ‘tunes’ on a Brough gearbox, just stick it in a high gear and let the engine do the talking. But, it was the best gearbox available (just ask any Vincent ‘A’ twin owner their opinion of the Burman ‘box and clutch), and had a very ‘sporty’ spec. 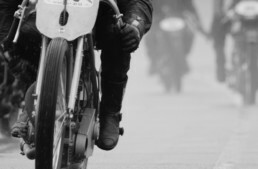 Having ignored the mag and valve levers to start the beast, it was possible to ignore a third, while running – the front brake, which was, like all Broughs with ‘Castle’ or ‘Monarch’ leading-link forks, almost useless. As the brake anchor must move with the front wheel, braking power is transmitted through two ‘link’ pivots, which takes out all the bite. 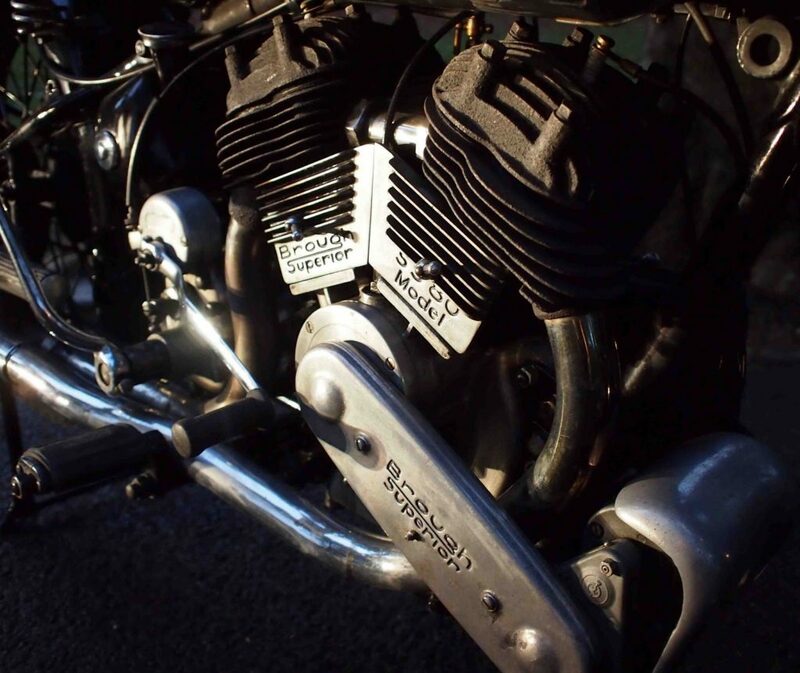 Brough owners have gone to great lengths at times to improve the situation, but dramatic braking brings other problems, ie, very bent forks, as their tubing, while lovely, is hollow and thin-walled. Luckily the rear brake is excellent, but its best to plan your riding lines carefully to avoid the need for panic stops. The Brough sits low, with a very modest saddle height (27″), and a very long chassis (and 58″wheelbase). That grand 4.5gal fuel tank with twin filler caps is imposing and implies gravity, but the bicycle is surprisingly light for a big ‘un, at around 430lbs. It certainly feels light when pushing it around, although with a very limited steering lock (a necessity with that bulbous chrome tank) tight turnarounds mean a lot of to-and-fro. Once the engine is warm, the lubricant return is checked in the oil tank (via a handy return line just below the filler cap on the 6 pint tank), and the clutch is let go, the Brough feels tiny compared to a new touring machine, because it is. And, while a sidevalve engine is cherished by some for a soft, woolly power delivery, the old girl still picks up her skirts and hustles down the road. The gap between first and second gear is so great, you might think you’d skipped a couple and landed in top, as an upshift has the engine barely ticking over at 30mph. As the chassis is so long, bumps don’t throw the bike airborne, and the ride is surprisingly comfortable in that extra-wide sprung Lycett saddle. The Brampton-built ‘Monarch’ forks do their job well, and that looong frame makes a very stable ride, without compromising smooth cornering. Not that you’ll be scratching around corners…well actually you Will be before you know it, especially on left-handers, as the patented prop-stand bolted under the left footrest will dig into tarmac at fairly tame angles of lean. Banking right is a little better, but the low ground clearance (5″ from ground to frame tubes), combined with a hefty lug for the raised footrest hangers, mean you’re grinding away valuable metal before you expect, if you’re used to a true sporting bike, even from the era. 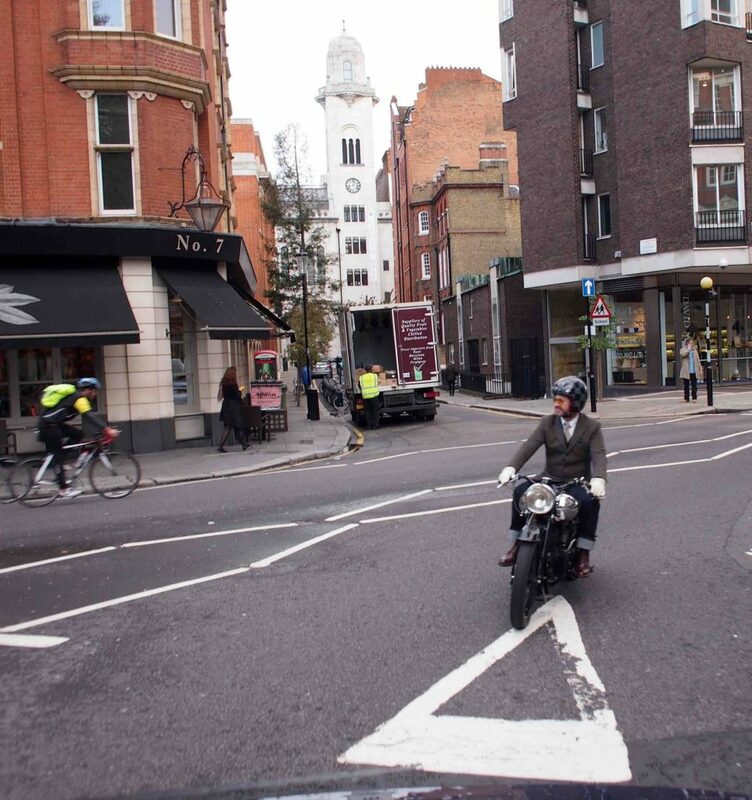 The cornering limitations enforce a gentlemanly riding style, fast yes but no corner heroics, just a well-planned line (those brakes) around the bends, all very graceful and relaxed. With a little practice, you’ll be Broughing it in style in no time. Its easy to scoff at the whole Brough ‘thing’; decades of embellishing tales (mostly from GB himself) turned some off even in the day, and the current high prices/ego purchases can be eye-rolling, but sweep the rubbish away, and what you have is a beautiful old motorcycle, built to be the best it could be by a demanding rider/designer/manufacturer, which was indeed better than its peers. Superior even. Super read! Good to see a machine like this on the road where it belongs! 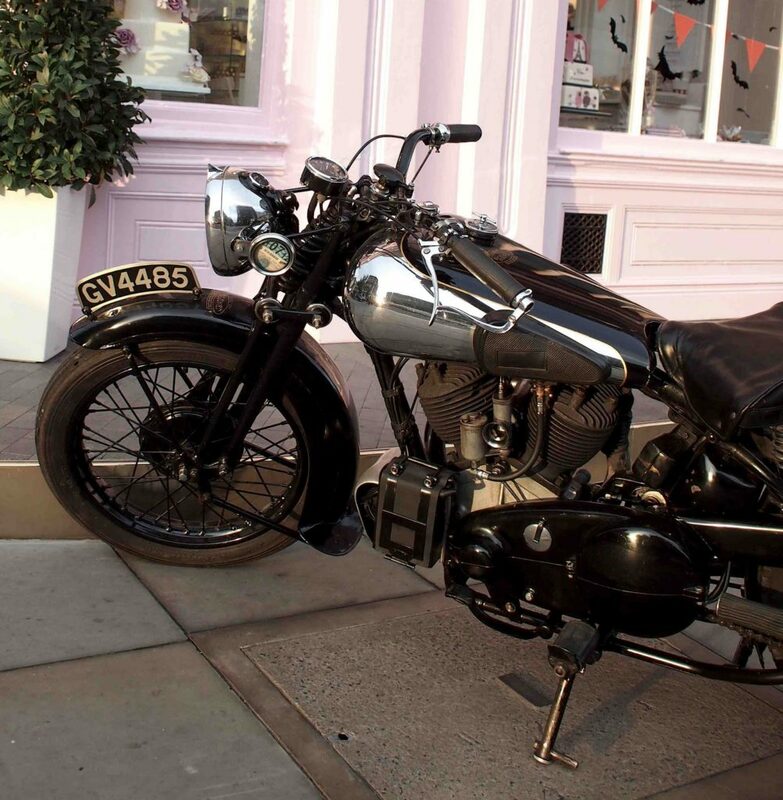 I prefer this kind of bike to a showstopper that is stored in a museum or worse; in a vault. Great story, thank you! Am I the only one that wishes one of the Modern Manufactures would produce a reasonable weight ,straight forward , unfaired , low , comfortable , what I’ve know as a gentleman’s Roadster M/C for the modern era ? A good front brake on a Monarch-forked SS80 is quite possible. It requires some effort in using soft linings, skimming them so that the maximum amount of contact is made with the drum (seeing that the drum as laced in the wheel is fairly round) and using a conventional (instead of the inverted) long lever. With the sidecar on the ’38 SS80 I’ve had for 42 years it is possible, when linings are quite fresh, to lock both the front (and back as well for that matter) wheels. Any front drum brake from the ’30s (and later, in racing use, Michelle Duff once told me) will fade on repeated frequent stops so I have modified the front brake lever on the SS80 to incorporate an adjuster. Also. Last winter I made and fitted a Karslake propstand which i machined from parts supplied by the Brough Club. I have had no grounding problems due to the stand. From the picture you showed of the ’36 SS80, I suspect that a little re-alignment or alteration in the location of the toe peg might solve the problem. Incidentally, if the standard Brough “fishtail” is fitted to the silencer it reduces both the idle and 2000 rpm SAE test noise level values by 3 dBA. My SS80 with fishtail was 79 dBA at idle and 90 dBA at 2000 rpm when tested last year. The proposed SAE limits are 92 dBA at idle and 96 dBA at 2000 rpm. The Brough is therefore less than 1/4 of the allowable idle level and 1/2 of the 2000 rpm level for bikes made as much as 70 years later. Perhaps George Brough’s claim that the late SS80s were the quietest bike on the British market, and the SS100 the second quietest, has some merit to it? Typical d’Orleans piece: Elegant and insightful prose, relevant and nicely-composed images. SS80–Brough’s ‘affordable’ model! Just don’t call it a ‘flathead’…. 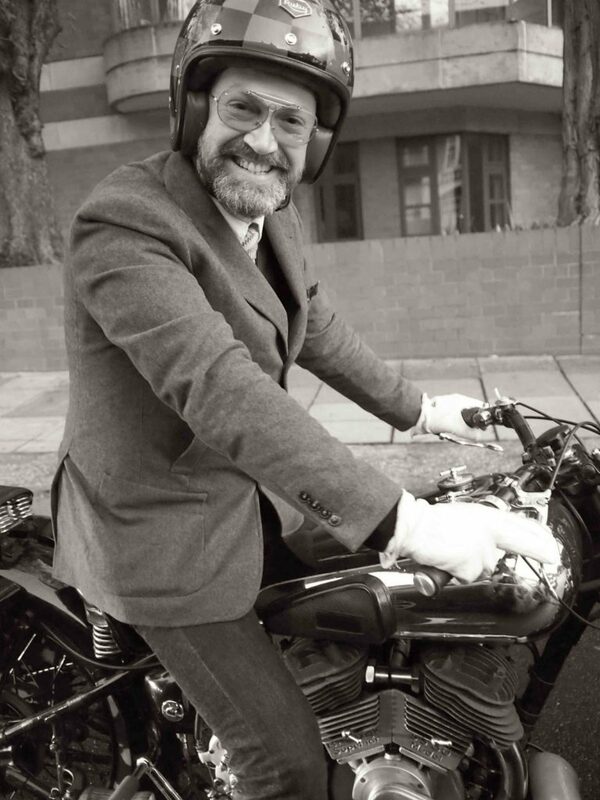 Wonderful piece on a beautiful bike, thanks Paul! 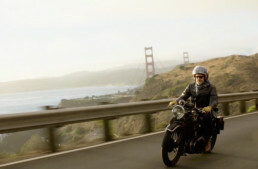 And through it all – Gentleman of Wealthy Buyers still have the punch of a motorcycle in their blood. 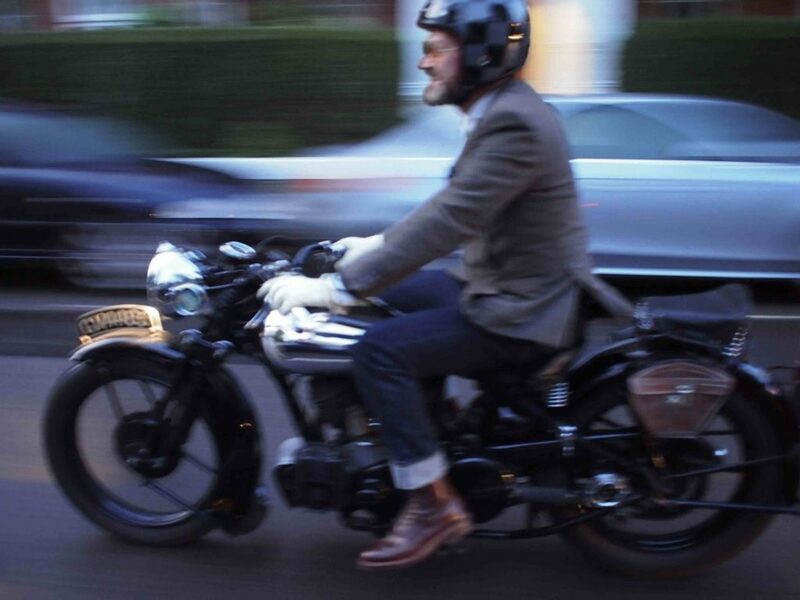 We are a different sort for the love of a two wheeled machine. Well said of the Brough with its tales of entitlement. One could believe you can fall in love with the machine. George was its biggest cheerleader in bravado- he could back it up. How much to buy one you ask? Gentleman do not discuss price. Its already understood you are member of the club. Thank you all for a Wonderfull life of passion – two wheeling. Some just never get it ! Do they? 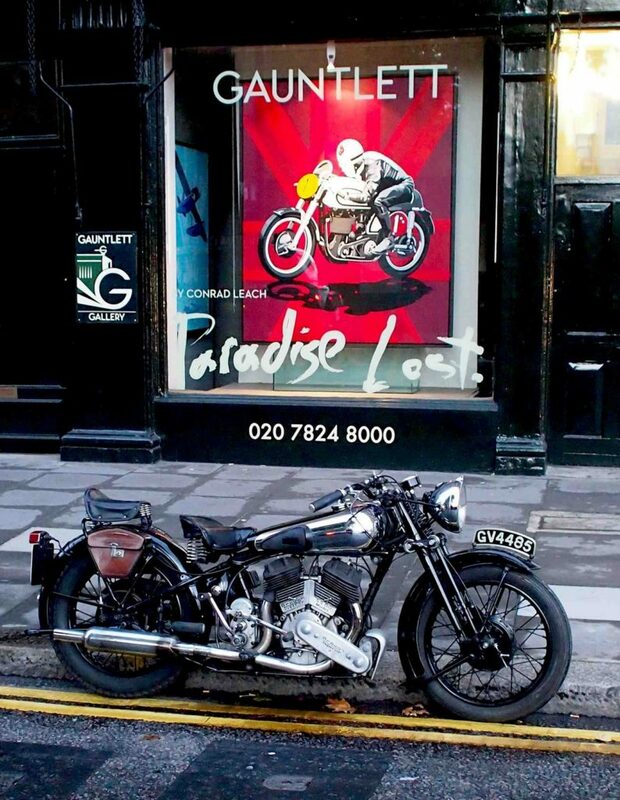 It’s interesting that George Brough included ‘successful tradesmen’ as among his clients in his PR: I bought my first four Brough Superiors during my (successful) career as a decorative painter/muralist; they were a financial stretch but one I considered worth it. I sold them all around 2000 to purchase a supercharged 1925 Zenith-JAP V-twin, ‘Super Kim’, and didn’t ride another Brough in earnest until the 2014 Cannonball, when I rode an 11.50 across the USA in partnership with Alan Stulberg of Revival Cycles. 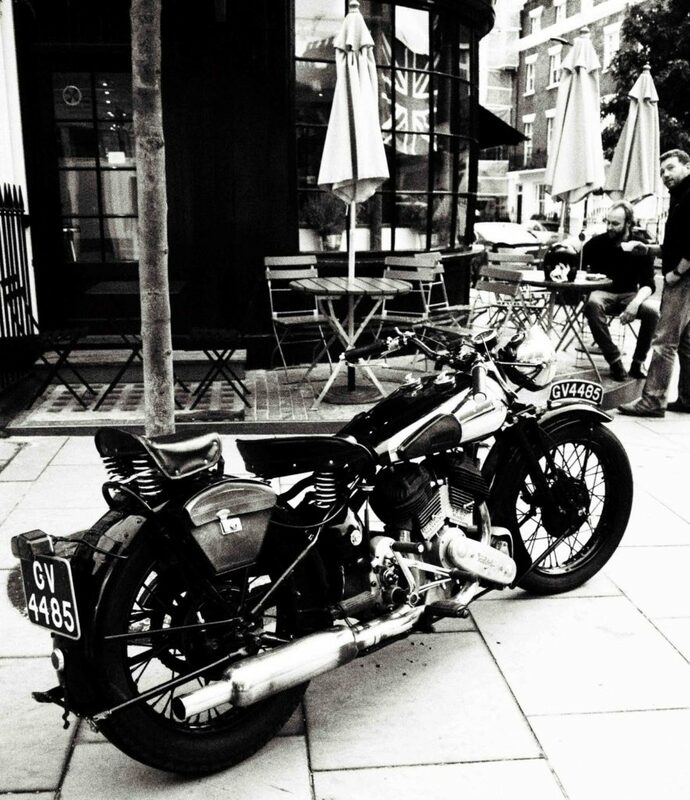 That stoked the fire: last year I purchased another Brough Superior, a 1933 11.50 with JAP sidevalve 60deg V-twin, that George himself considered his favorite model of the 1930s. It was a bigger financial stretch, but still possible, as is this SS80-Matchless model, which can be found easily for under $100k. That’s a lot of money, but for a ‘successful tradesman’, still possible. The early SS100s have moved into Fine Art territory though, and fetch closer to $4-500k, which is definitely not affordable! I’ll take you to task Paul, on the front brake, part of the myth that BS front brakes are no good stems originally from the earlier 8 inch Enfield unit used from 1928 or so.Its design is poor and with use the drum will flex. Add many years of use into the 1950s— to the extent that the bikes were almost worthless , then no one cared about brakes. Weld the drum to the spool, stitch weld where the 6 rivets are on the drum inner plate ,then machine the brake shoes on the brakeplate . My sons 1928 SS80 has an 8 inch front stopper that is as good as it can be.On the old MOT test rig it pulled more stopping power than the 8 inch rear. To a greater extent the later seven inch is the same,but the steel drum itself is far better design.Once again machine the linings on the brakeplate & you get results. The very last 7″ front drum of 1939 had a cast iron drum, which was infinitely better then the steel one.On my 11/50 I could get the front brake to squeal under hard braking. Lastly I always use original Ferodo linings rather than the modern asbestos replacement stuff. NEVER have a drum machined true if you can help it . Over zealous wheel builders can pull a drum out of true .I have trued drums by the simple expedient of altering spoke tensions back to where they should be. Dave, I’ve ridden a lot of Broughs, and never come across one with a decent front brake, so your method is an anomaly, and one I’ll investigate! The older I get, the more I value a good brake – I didn’t care much in my youth, preferring only to go fast! 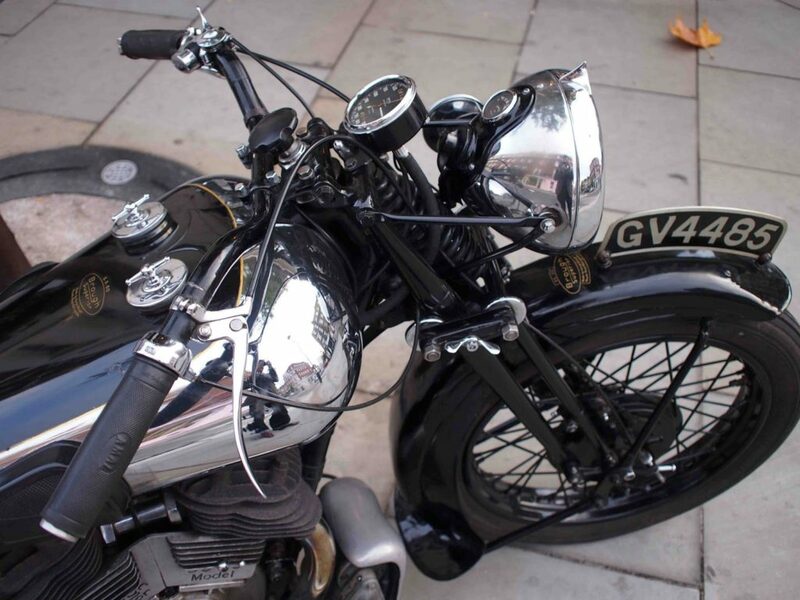 Lovely Bike.. And the dual exhaust on the SS100’s inspired me to install a similar style on my old VL. twin is rare but it has been up and running for over 20 years now.